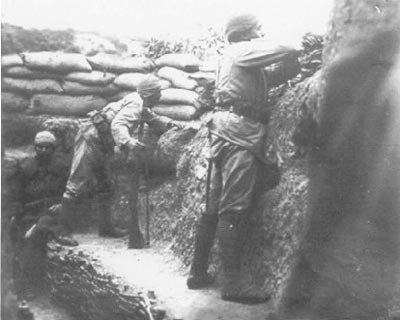 Gallipoli: Kitchener cables home evacuation might not be so costly. 52nd Division Helles bridgehead mining success near Krithia Vineyard. Persia: Central Powers’ Ambassadors leave Tehran for Kum with 3,000 Persian gendarmes, expecting Shah to follow, but he takes refuge in Russian Embassy. Flanders: Hard night frost after a week of heavy rain. Comparatively little activity for past week except for occa­sional sharp artillery duels. BEF CoS Robertson tells Haig his main aim ‘to get you in command’. Serbia: General Ribarov’s Bulgar group in dire straits but rescued by part of First Army from Leskovac as Austro­-German pursuit reaches river Ibar at Kossovo Plain north end, French estimate c.213,000 Allies vs 400,000 Central Powers’ troops. Salonika: ­British General Mahon forms GHO Salonika Army. Mediterranean: 452 Anglo-French anti-submarine vessels deployed including 85 destroyers (but 28 French broken down by November 30) and 63 torpedo boats. Admiral Dartigue estimates 140 destroyers needed.